FBI Director James Comey testified on Capitol Hill on July 14. WASHINGTON — Senior Justice Department officials warned the FBI that Director James B. Comey’s decision to notify Congress about renewing the investigation into Hillary Clinton’s private email server was not consistent with long-standing practices of the department, according to officials familiar with the discussions. Comey told Justice Department officials that he intended to inform lawmakers of newly discovered emails. These officials told him the department’s position is ‘‘that we don’t comment on an ongoing investigation. And we don’t take steps that will be viewed as influencing an election,’’ said one Justice Department official who spoke on the condition of anonymity to describe the high-level conversations. Comey decided to inform Congress that he would look again into Hillary Clinton’s handling of emails during her time as secretary of state for two main reasons: a sense of obligation to lawmakers and a concern that word of the new email discovery would leak to the media and raise questions of a coverup. ‘‘Of course, we don’t ordinarily tell Congress about ongoing investigations, but here I feel I also think it would be misleading to the American people were we not to supplement the record,’’ Comey wrote to his employees. The last time Comey found himself in the campaign spotlight was in July, when he announced that he had finished a months-long investigation into whether Clinton mishandled classified information through the use of a private email server during her time as secretary of state. After he did so, the denunciation was loudest from Republican nominee Donald Trump and his supporters, who accused the FBI director of bias in favor of Clinton’s candidacy. There was also grumbling within FBI ranks, with a largely conservative investigative corps complaining privately that Comey should have tried harder to make a case. This time the loudest criticism has come from Clinton and her supporters, who said Friday that Comey had provided too little information about the nature of the new line of investigation and allowed Republicans to seize political ground as a result. The inquiry focuses on Clinton emails found on a computer used by former U.S. congressman Anthony Weiner, D-N.Y., now under investigation for sending sexually explicit messages to a minor, and top Clinton aide Huma Abedin, who is Weiner’s wife. The couple have since separated. Comey had just been briefed by a team of investigators who were seeking access to the emails. The director knew he had to move quickly because the information could leak out. 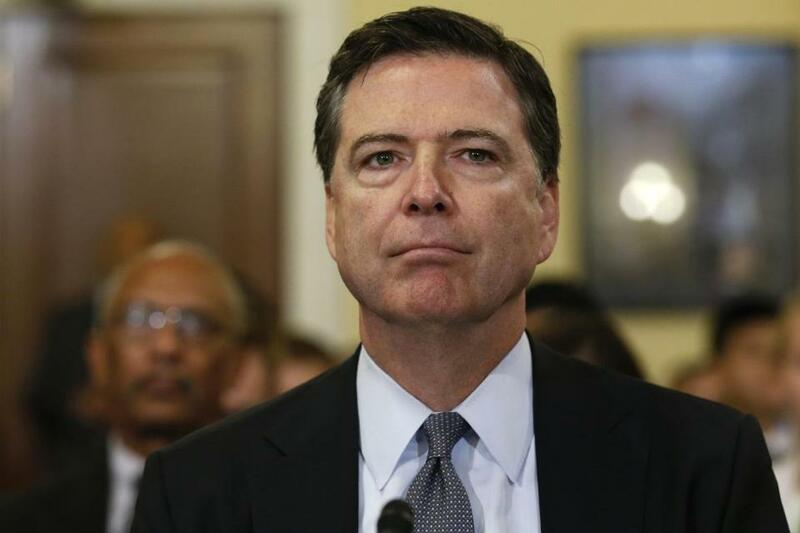 The next day, Comey informed Congress that he would take additional ‘‘investigative steps’’ to evaluate the emails after deciding the emails were pertinent to the Clinton email investigation and that the FBI should take steps to obtain and review them. In July, Comey had testified under oath before the House Oversight and Government Reform Committee that the FBI was finished investigating the Clinton email matter and that there would be no criminal charges. Comey was asked at the hearing whether he would review any new information the FBI came across. ‘‘My first question is this, would you reopen the Clinton investigation if you discovered new information that was both relevant and substantial?’’ Rep. Lamar Smith, R-Texas, asked Comey during the hearing. In the Friday memo to his employees, Comey acknowledged that the FBI does not yet know the import of the newly discovered emails. ‘‘Given that we don’t know the significance of this newly discovered collection of emails, I don’t want to create a misleading impression,’’ Comey wrote. Comey’s action has been blasted by some former Justice Department officials, Clinton campaign officials and Democratic members of Congress. ‘‘However, one thing is clear: Director Comey’s announcement played right into the political campaign of Donald Trump, who is already using the letter for political purposes. And all of this just 11 days before the election,’’ Feinstein said. Matthew Miller, a former Justice Department spokesman in the Obama administration, said the FBI rarely releases information about ongoing criminal investigations and does not release information about federal investigations this close to political elections. ‘‘Comey’s behavior in this case from the beginning has been designed to protect his reputation for independence no matter the consequences to the public, to people under investigation or to the FBI’s own integrity,’’ Miller said. Miller said he had been involved in cases related to elected officials in which the FBI waited until several days after an election to send subpoenas. ‘‘They know that if they even send a subpoena, let alone announce an investigation, that might leak and it might become public and it would unfairly influence the election when voters have no way to interpret the information,’’ Miller said. In Comey’s note to employees, he seemed to anticipate that his decision would be controversial. ‘‘In trying to strike that balance, in a brief letter and in the middle of an election season, there is significant risk of being misunderstood,’’ Comey wrote.